England head coach Eddie Jones has named his team to face France in their second Guinness Six Nations match on Sunday. Jones has made two changes to the starting 15 that beat Ireland last weekend. 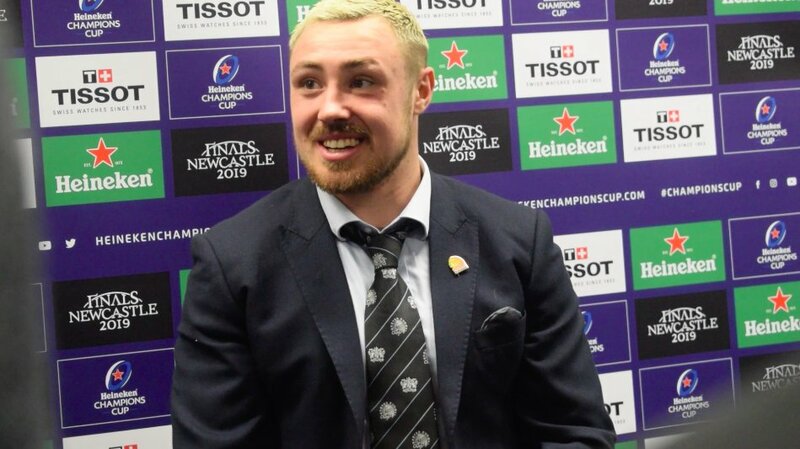 The most noticeable one - Chris Ashton is named on the right wing in place of Jack Nowell, It will be Ashton’s first start in the Six Nations since 2013. "I think Ashton for Nowell is a little mind game from Jones, I just hope he's not being too clever as Nowell was one of the stand out performers. That said Ashton won't play 80, Nowell will get a run." "Dropping Nowell for Ashton is not cool!! Cannot believe that decision. After Saturday’s match surely you play the same team.."
"I'm sure Eddie knows why Ashton is starting instead of Nowell (French connection) Bench looks strong aswell. Come on lads, smash em up." "Ashton instead of Nowell? And persisting with Youngs instead of Robson, plus still playing Daley out of position. I have a bad feeling about this...."
"With Nowells habit of working in field I'm guessing they don't want him to get eaten. Burn them with pace and finishing power early then bring Nowell to attack when they are tired in midfield." "I wouldn't say Nowell has been dropped; I'd say Eddie Jones is rotating his wingers. As he has rotated his finishing props. When else can he experiment while aiming to win?" Meanwhile Courtney Lawes is selected in the second row following the injury to Maro Itoje.